The very first Major League Baseball game was played on May 4, 1871 between the Cleveland Forest Cities and the Fort Wayne Kekiongas. A lot has changed in the national pastime in the 140 years, four months and 24 days since. Baseball has seen a number of odd and amazing things happen in the 51,281 days pass since then, but last night we may have witnessed the greatest night in baseball history. The scene set at the beginning of the night was perfect. Two teams in each league tied for the last elusive playoff spot. Each league had one team (the Red Sox in the American League and the Braves in the National League) trying to stave off possibly the greatest collapses in baseball history while two others (the Rays in the AL and the Cardinals in the NL) looked to put the finishing touches on improbable comebacks. The stories of how each team got here, into a tie on the final day of the season, are all very unique. 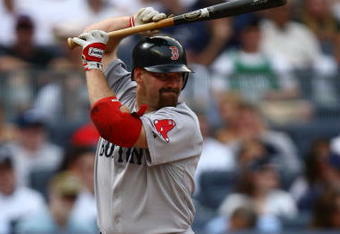 On September 2, the Red Sox held a nine-game lead over Tampa Bay in the AL Wild Card race. No team in major league history had ever blown a nine-game lead in September. In the 25 games since September 2, the Red Sox gave up six runs or more in a game 18 times as Boston’s pitching staff surrendered an astounding 6.4 runs per game. Their starting pitchers compiled a 7.91 ERA over the last 19 games. The Red Sox would go 7-18 since September 2, falling into a tie for the AL Wild Card with Tampa Bay. 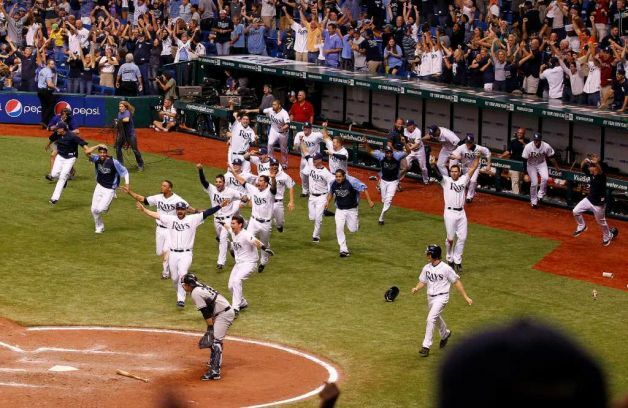 The Rays, despite vaulting nine games in the standings to catch Boston, had been on a rollercoaster ride in September. Tampa Bay was just 10-9 against every other team in baseball during the month. However, the Rays were able to make up ground so quickly because they dominated the Red Sox, winning six of seven games against Boston. By the time each team would play its final series of the year on September 26, Tampa Bay had vaulted itself into a tie atop the AL Wild Card standings. On the National League side, the Braves were faltering in similar fashion to the Red Sox. Atlanta held an 8.5 game lead over St. Louis on September 5. 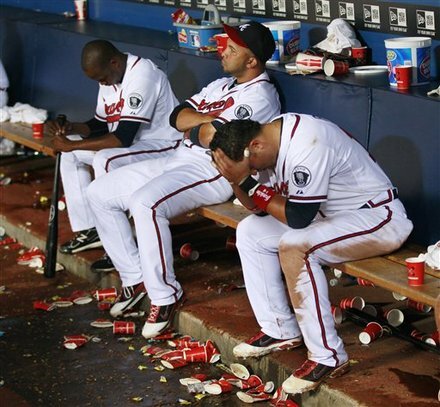 However, since then, the Braves went 7-15, with 11 different pitchers taking a loss. During that stretch, Atlanta averaged only 3.09 runs per game and allowed 4.36 runs per game. Over the course of the season, those numbers were 3.96 and 3.73, respectively. As Atlanta cooled off, the Cardinals began to catch fire. St. Louis’ run actually began a little bit earlier than the Braves’ collapse though, which allowed them to gain slightly more ground. On August 25, the Cardinals were 10.5 games behind Atlanta in the NL Wild Card race. In the 31 games since then though, St. Louis went 22-9, including a three-game sweep of the Braves from September 9 through 11. During that stretch, the Cardinals averaged 4.84 runs per game while surrendering just 3.84 runs per contest. With their 13-6 victory Tuesday over the Astros, St. Louis was finally able to erase the deficit and move into a tie atop the NL Wild Card leaders. The final night of the season proved to be the final stop on the magical carpet ride the Rays and Cardinals had taken throughout September. However, for most of the night, it looked as if both of those teams would either not get the job done or be forced into a one-game playoff to decide their playoff faith the next day. 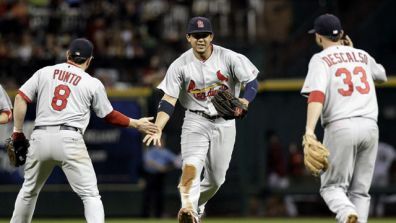 The Cardinals erased any chance of doubt early on by taking a 5-0 lead in the top of the first inning. 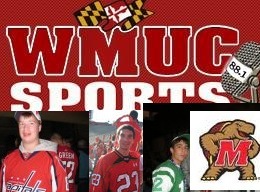 They would cruise to an 8-0 victory, the only game of the four teams tied for a Wild Card spot that lacked drama. Meanwhile, after a Ryan Howard RBI-double in the top of the first for Philadelphia, the Braves responded by tying the game on a Chipper Jones sacrifice fly in the bottom half of the frame. In the bottom of the third, Dan Uggla gave Atlanta their first lead of the game with a two-run home run to left to make it 3-1. However, the Phillies began to inch closer as the late innings fell upon Turner Field. A Jack Wilson error in the top of the seventh allowed Raul Ibanez to score to make it 3-2. 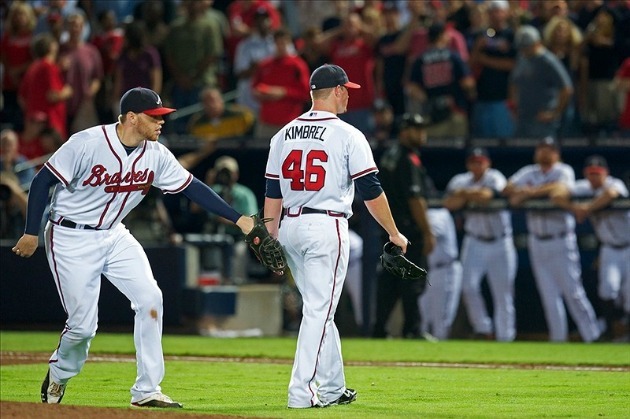 The score would stay that way as Braves manager Freddi Gonzalez summoned Craig Kimbrel, who saved a rookie-record 46 games this year, into the game to close things out in the ninth. Kimbrel immediately allowed a single to Placido Polanco, who was pinch-run for by Pete Orr. 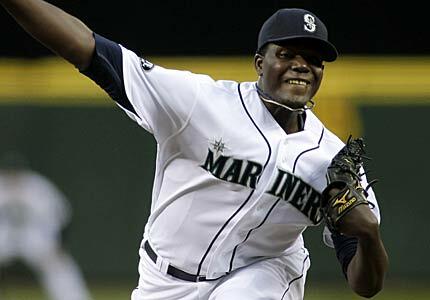 After striking out Carlos Ruiz for the first out, Kimbrel committed the worst sin that a pitcher can make; giving out free passes to first base for batters. He walked pinch-hitter Ben Francisco and followed that up with the same result to Jimmy Rollins to load the bases with one out. The free passes allowed Chase Utley to hit a sacrific fly to left and just like that, Kimbrel blew his eighth save of the season as the Phillies tied the game at three. The game would remain scoreless until the 13th, with Atlanta missing a golden opportunity to win with runners on the corners and two outs in the 12th. Scott Linebrink entered the game out of the Braves bullpen for the top half of the inning and made the same egregious mistakes as Kimbrel. After striking out Dominic Brown, Linebrink walked Brian Schneider. Rollins flied to center for the second out but then an Utley single pushed Schneider to third. With runners on the corners and two outs, the same situation the Braves failed to score with in the bottom of the 12th, Hunter Pence hit a weak line drive that found a hole in the right side of the infield to give the Phillies a 4-3 lead. Atlanta had one final opportunity to extend their season in the bottom frame of the 13th. However, with a runner on first and one out, Freddie Freeman grounded into a double play as the Braves’ season suddenly and shockingly ended. With five games to play, Atlanta had owned a three-game lead over St. Louis. In those five games, though, the Braves scored just seven runs, going 0-5. However, their bullpen implosion would not be the only one by a team on this night to put the finishing touches on a sinking season. Over on the American League side, things could not have started off any better for the Red Sox. For just the third time in 15 games, the Red Sox would able to put a crooked number on the scoreboard before the opposing team, using a Dustin Pedroia single to take a 1-0 lead in the third. However, Boston coughed the lead right up on a two-run J.J. Hardy homer in the bottom half of the inning. The Red Sox continued to claw back though, scoring one in the fourth on a balk by Orioles pitcher Alfredo Simon and then using a Pedroia home run to take a 3-2 lead in the fifth. As Boston was taking the lead and the reigns in the Wild Card race, Tampa Bay looked like their season would end because of their struggles against every other team besides the Red Sox. By the end of the fifth inning, the Yankees had a 7-0 lead and the Rays’ postseason hopes looked pretty much dead. However, just like that though, a funny thing happened. It was almost as if the baseball gods intervened to suddenly change the fortunes of the games. As the Orioles and Red Sox stopped play for a rain delay, Tampa Bay suddenly began a miraculous comeback. With Boston watching from the locker room, the Rays got their first three men on base against Boone Logan in the bottom of the eighth. New York manager Joe Girardi decided to bring in Luis Ayala and Tampa Bay capitalized immediately. Sam Fuld walked score Johnny Damon to make it 7-1. Ayala hit Sean Rodriguez with a pitch to force in another run to make it 7-2 before striking out Desmond Jennings for the first out of the innings. B.J. 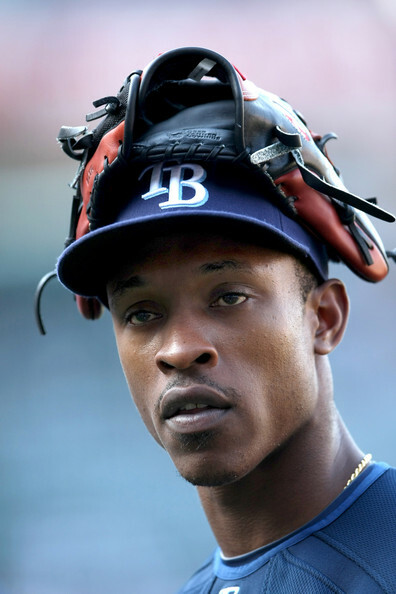 Upton then hit a sacrifice fly to make it 7-3 with two outs and the Rays’ hottest hitter, Evan Longoria, coming to the plate. Suddenly, with two men on, a glimmer of hope appeared at the end of the tunnel for Tampa Bay. 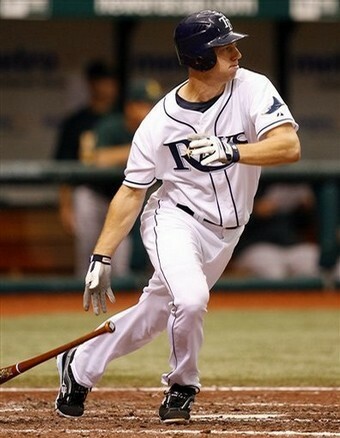 Longoria crushed a pitch over the fence in left field, and just like that the Rays were within one at 7-6. John Jaso singled before Ayala retired Damon to end the inning and stop the bleeding. 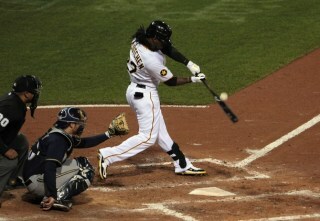 Tampa Bay was afforded one more shot in the bottom of the ninth inning to put their playoff destiny in their own hands. The Yankees’ new pitcher, Cory Wade, retired the first two hitters of the plate though, and suddenly the Rays were down to their final out. 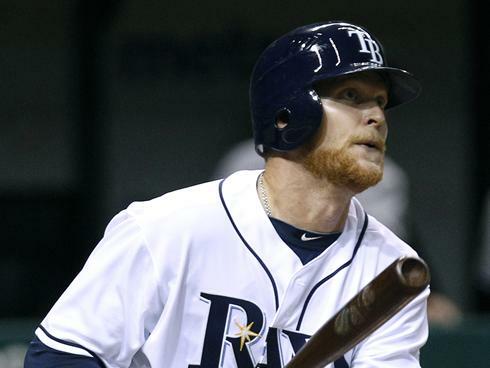 With light-hitting Sam Fuld due up next, Tampa Bay manager Joe Maddon made the curious decision of pinch-hitting Dan Johnson. Among non-pitchers with at least 50 plate appearances this year, Johnson (.119) had the lowest batting average this season of any hitter in baseball. However, be it the baseball gods or Maddon’s knowledge that since 2008, Johnson was 17-for-52 (.327) with eight home runs and 14 RBIs in 22 games against the Red Sox and Yankees and just . 20 for 168 (.119 with three homers and 17 RBIs in 56 games against the rest baseball, Johnson came through. Down to his final strike, Johnson crushed a ball over the fence in right field to miraculously tie the game and send it to extra innings. Soon afterwards, the Red Sox and Orioles resumed play at Camden Yards. The Boston bullpen was able to keep Baltimore off the scoreboard in the seventh and the eighth and hand the ball to closer Jonathan Papelbon for the ninth inning with a 3-2 lead. Coming into this game, the Red Sox were 77-0 this season when leading after eight innings. Papelbon struck out the first two batters of the inning and the Red Sox were one out away from controlling their own destiny once again in the postseason hunt. However, fate kicked in against Boston. Chris Davis hit a double and then Nolan Reimold stepped to the plate. 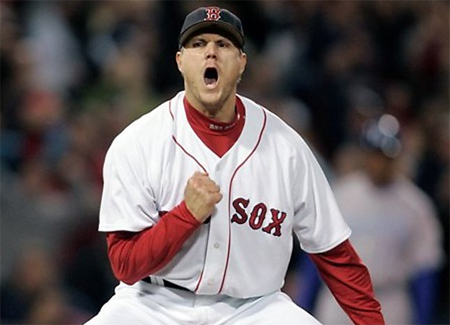 Papelbon pumped two fastballs by the bat of Reimold and Boston was just one strike away. However, Reimold smashed a ground-rule double into right to tie it at three. Robert Andino then digged into the box. 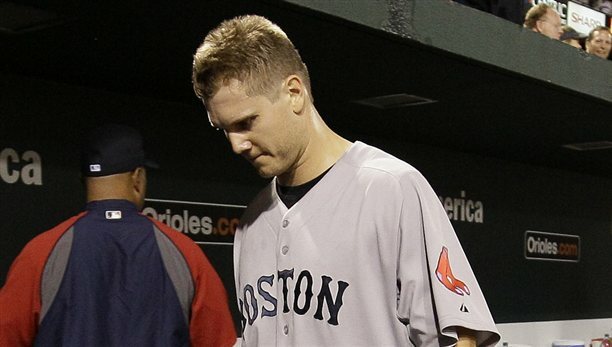 It would be the last batter of the Red Sox’s miserable and depressing fall from grace. Andino lined a ball hard into left field. Charging hard was Carl Crawford, who slid feet first, but the ball clanked off his glove, scoring Reimold and sending Boston back into the clubhouse with a loss after leading in the eighth inning for the first time all season. At this time, the Yankees and Rays had moved into the bottom of the 13th inning. Pitching for New York was Scott Proctor, who had throw 2.1 innings of scoreless baseball as Longoria stepped back into the box. 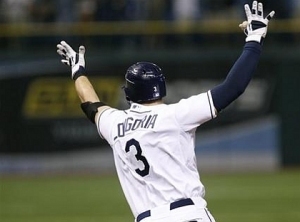 With the eyes of a tormented Red Sox Nation now upon him, Longoria worked the count to 2-2. He then fouled off a pitch before lining a rocket down the left field line. The ball stayed fair and flew just over the fence as the Rays celebrated being the first team in baseball history to overcome a nine-game deficit to make the postseason. It was just the third time in Yankees history, and first since 1953, that New York blew a seven-run lead in the 8th inning or later. Like what happened to the Braves, it took one final bullpen collapse to be the final straw of the Red Sox’s season, finishing off the most epic collapse of all-time. Boston did not win consecutive games since beating Oakland in a doubleheader on August 27. The Red Sox were 1-2 against Texas, 2-5 against Toronto, 1-6 against Tampa Bay, 2-5 against Baltimore and 1-4 against the Yankees in September, finishing 7-20 overall in the month. The 20 losses in September were the most by a Red Sox team in the month since 1952. The team with baseball’s third-highest payroll will be watching the playoffs from home for the second season in a row while the Rays, who own the major’s second-smallest payroll, will be going to the postseason for the third time in four years. The night started with the potential to be magical, but it proved to be even better than that. 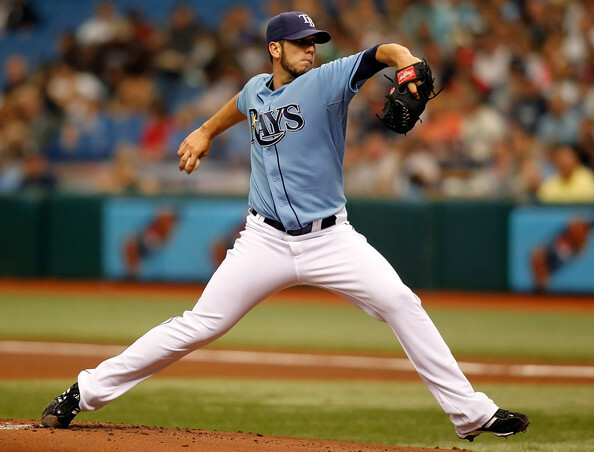 The Rays were one strike away from losing. The Red Sox were one strike away from winning. But in each case, the opposite happened. The timing of the games and the simple brilliance of ninth-inning rallies, two teams’ bullpen collapses and a walk-off home run proved to be as dramatic as baseball can get. With so much on the line, seeing all of this was unbelievable. When the dust settled, the only word that could even come close to describing the enchantment of the cascade of events crashing down last night is this one: Amazing. There have been 51,282 nights in baseball history. None of them were better and filled with more collective drama and magic than what we witnessed last night.